Challenge the World's Best Trainers in Pokémon Black 2 and White 2 Beginning Monday. On Monday, Pokémon enthusiasts can challenge the top 12 trainers from this year's World Championships in Pokémon Black 2 and White 2. The trainers and teams will be distributed over the Nintendo Wi-Fi Connection sometime on Monday, and will bring three-time world champion Ray Rizzo's stable of Tyranitar, Garchomp, Cresselia, Hydreigon, Rotom, Metagross along with 11 other trainers and their teams. 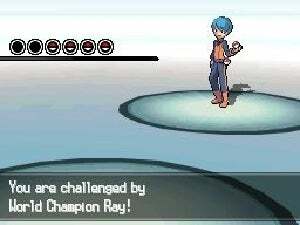 The integration of real-world Pokémon champs and their teams within the game itself is a first for the series. Here are the trainers and their rosters. Correction: The Juniors and Seniors trainers have already been released; the Masters trainers will be available for download on Monday. That means you can already start testing your Pokémon mettle against the world's best.